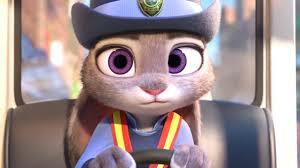 Young rural rabbit Judy Hopps dreams of being a police officer in the metropolis of Zootopia. She is inspired by the belief that in Zootopia, anyone can be anything. After all, now that predatory and prey animals have learned to live together peacefully, anything can happen. Although she is discouraged by her family and ridiculed by predatory peers, Judy perseveres. 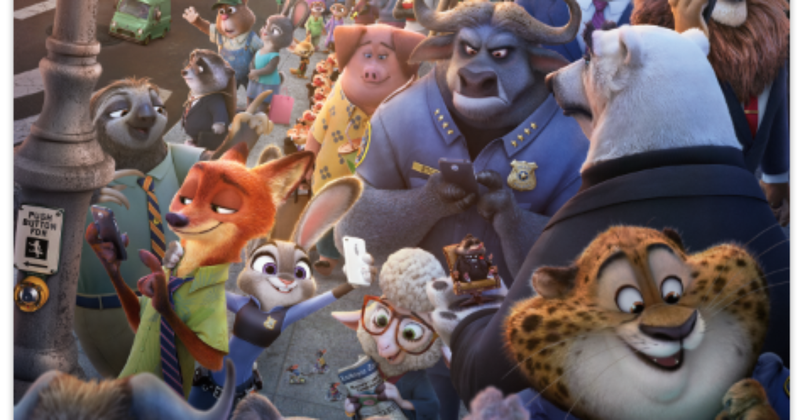 As a young adult rabbit, she moves to Zootopia and becomes the city’s first rabbit police officer. She holds on to her optimistic idealism, but also her lingering, back-of-the-mind distrust of some predatory animals – especially foxes, since it was a fox that ridiculed her dreams when she was a child. 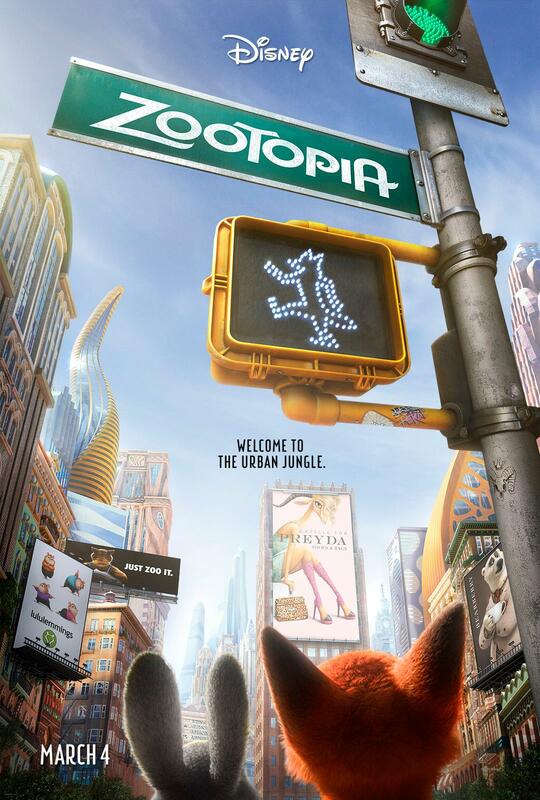 On an early beat, Judy is duped by Nick Wilde, a small-time con artist who happens to be a fox. She blackmails him into helping her on a missing-person investigation, which she must solve quickly in order to keep her job. As Nick helps her, she comes to trust him and they become friends. Their friendship is challenged as a fear of predatory animals rises among the prey animals – and when Judy reveals that she believes predators are still dangerous – including Nick – Nick is devastated. Judy’s biggest case might be trying to figure out who’s being served by the growing climate of fear. There aren’t any elements of adoption in the story, although some viewers who have been adopted or in foster care might relate to Judy’s experience of leaving the home and town she’s familiar with in favor of a frightening new city. Zootopia thoughtfully handles the interplay of fear and stereotypes. It’s a kid-friendly movie that manages to be quite entertaining for adults, while also inviting important discussions about how we perceive others. By the end of the film, viewers can have keen insight into why each character acts the way they do. Judy’s parents become a source of good support for her. The film is optimistic – but accurate – in its premise that people can change. It’s challenging because it depicts basically everyone as needing to change. But there’s hope – even people who do, say, or think unkind things can change and grow into people who act with kindness. 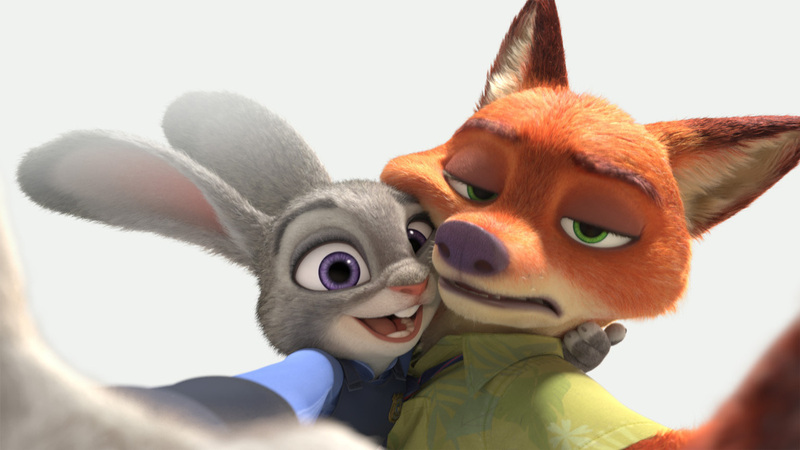 There is a scene where Judy is bullied by another child – a fox; he scratches her and draws blood. During her police work, Judy encounters a couple loud, surprising and frightening scenes that could be hard for kids who’ve experienced violence, or kids who startle easily. I thought, a few minutes in, that Zootopia was going to be a stereotypical “follow your dreams instead of listening to naysayers” kids film. It’s not. It gets past that within the first twenty minutes or so – from there, it becomes a thoroughly entertaining and engaging film with brave relevance to the current social climate. Both of the kids I attended with (ages 10 and 6) said that they loved it – and the ten-year-old said it was her favorite movie ever. The film communicates that it’s damaging, unfair, and probably inaccurate to believe ill of people because of what category they belong to. That’s a helpful message overall in a society that seems to be geared towards sensationalism and fear. Kids who have been abused, though, sometimes have heightened anxiety and difficulty trusting; parents will need to make sure that these kids do not come away feeling ashamed of their difficulty trusting others. Zootopia provides a great opportunity to have some important conversations. Why did Nick decide to be a con artist? How can you tell whether someone is trustworthy? How can you tell whether someone is worth being afraid of? Has someone ever believed something about you that wasn’t true? What did it feel like? 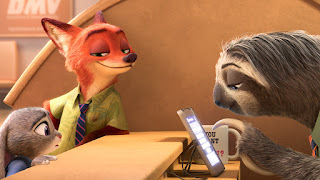 I had read that in initial edits of the film there is a seen where Nick pretends to have adopted a fox and makes a comment about his 'poor adopted son' not being able to get an ice cream or something. Has that scene *hopefully* not made it into the final movie? Thanks for the review!! Hi Ashley - The scene where Nick tries to get his accomplice an ice cream is still in the movie, but I don't remember any references to adoption in that scene - sorry for the slow reply! I saw the movie the other day with my family. None of my 13yo, my wife or myself remember that dialog in the ice cream scene. So as the scene itself was vitial to the story they probably changed the dialog in the editing process (which happens all the time). My son loves this film. However, a couple scenes were very scary for him and he screamed in the theater. Hi Elaine, a couple of the scenes were pretty scary, weren't they! I'm glad your kiddo still liked the film. Thanks for commenting!